The metal base has then been embellished with dazzling white CZ stones set in an exceedingly single chain formation. The bangles area unit obtainable within the sizes of two.4, 2.6 and 2.8. 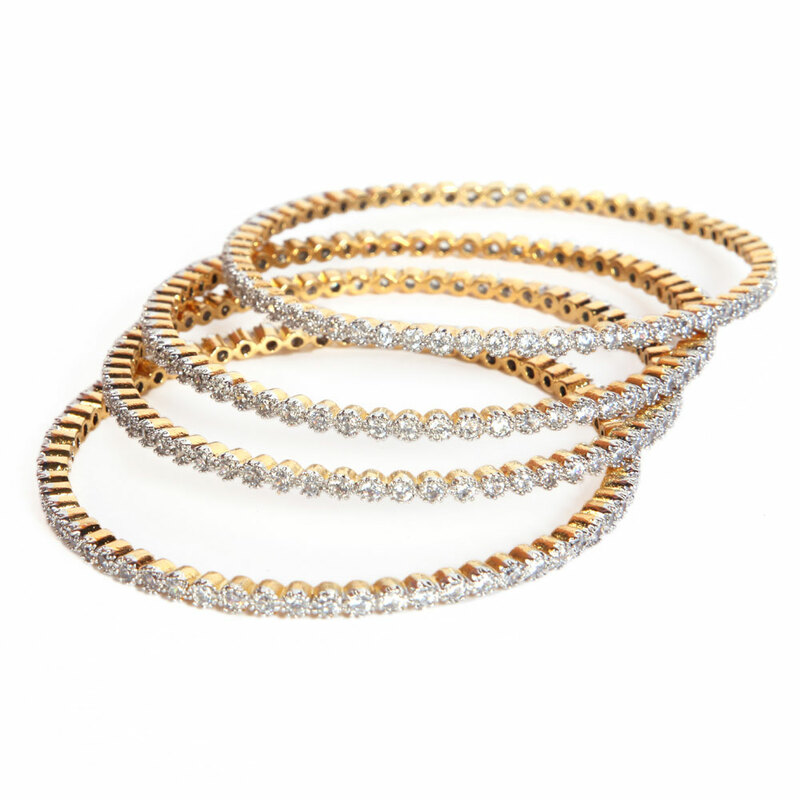 This set of four designer bangles has each bangle moulded from the base metal of brass having micro gold plating. The metal base has then Read More..been decorated with dazzling white CZ stones set in a single chain formation. The bangles are available in the sizes of 2.4, 2.6 and 2.8. Show Less..